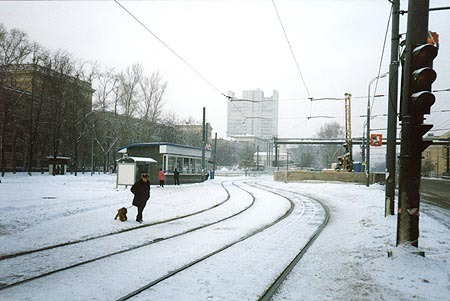 It took several years to build Dubrovka Metro station in the South-East part of Moscow. The problem was traditional for Russia - lack of money. But it was the Mayor's elections of December 1999 that this station was opened at last. 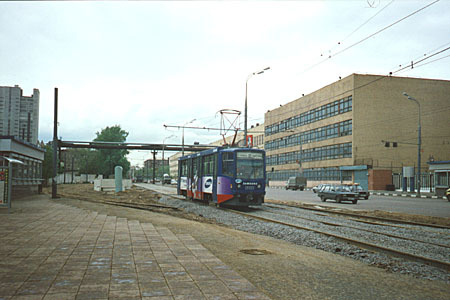 During the years of construction the tram line curved around the site, but it was straightened after the construction had been over. 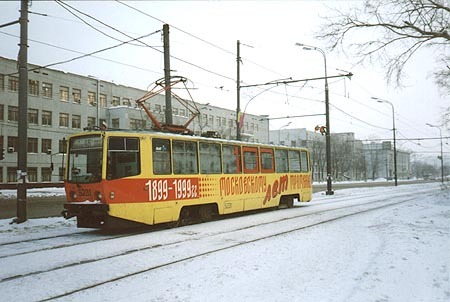 This photo shows a tramcar on route 46, in a livery devoted to the centennial of Moscow electric tramway. I humbly admit that the photo is historic because route 46 has been shortened and now terminates at Proletarskaya metro station. This track curve goes round the trench left after the subway station construction. The station entry is in the blue roof pavilion. 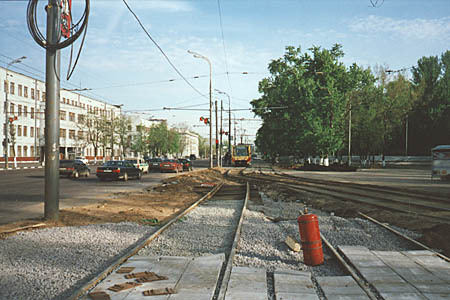 In April of 2000 the tracks were straightened. This picture of May 3 shows the last preparations. 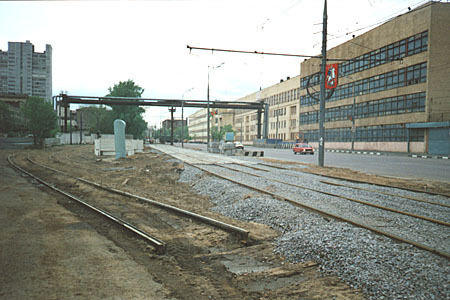 As you can see, there are the railway-type rails being used here. And three days later, this tramcar already uses the new track. The old tracks have done their best on this heavy traffic line and now they are ready to retire.